Gah..I would give my first born (if I had one) to be able to paint that cleanly. Nice work Gabe..even if it has to be IG :P Is the Iconography all decal transfer or hand done? I'm in a similar situation, too. 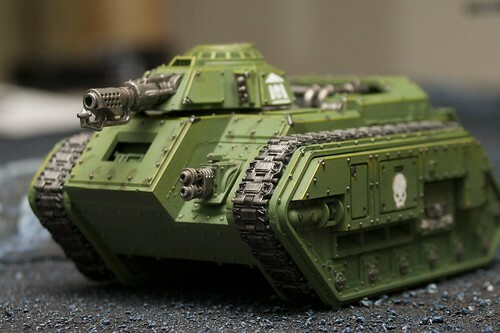 I've had about 1300 points of Guard waiting to get turned into an army since right after the plastic Cadians came out, thinking I would do an infantry company with a Leman Russ platoon in support. But now I just can't bring myself to do it... there's so many Guard around nowadays! But since I am starting a new army, it's better for me to stick with Space Marines since you never see them getting used, right? At least your Hellhound looks awesome, and good luck finishing off your planes. Hexeter- thanks for the kind words. 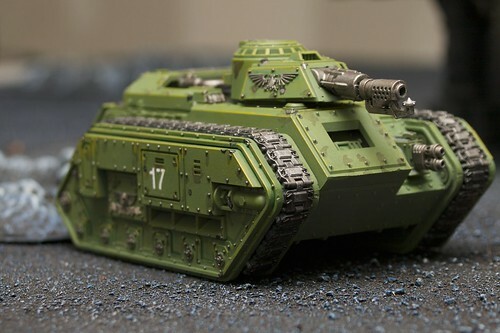 Funny, I like the look of this tank far better than my fancy IG planes (right now), and I started this army just to build a few Vendettas! I use decals a lot. 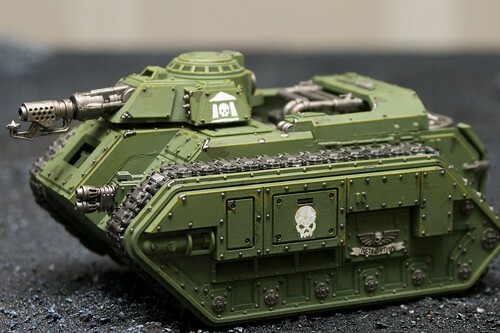 The GW decals are very good quality and help hold the theme of a army together very well. The trick is to get them on flat, then paint over them with (in this case) skull white. It hides the gloss that the decal gives, and it makes it look more 'hand painted' than 'using a cheap decal' but heh, the results are good. If you look at my dreadnought banners, you will that I used a similar method. Instead of decals, I printed off a banner from one of the books and painted over that. Thanks JJ for more kind words. Perhaps I can get over the IG sickness long enough to finish the army, and put them on the shelf... finished. 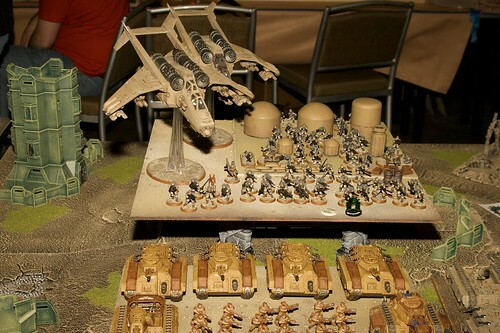 Bah, who am I kidding, no army is ever 'finished! '.